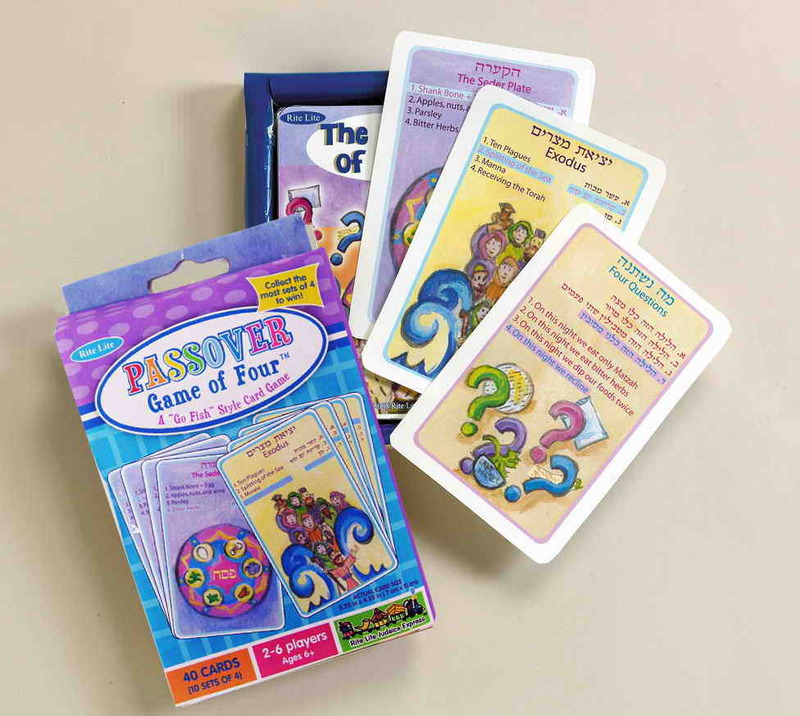 The Game Of Four , A Passover Educational Card Game That Is An Entertaining Children's Game Designed To Teach Children About The Seder In A Fun And Informative Way. 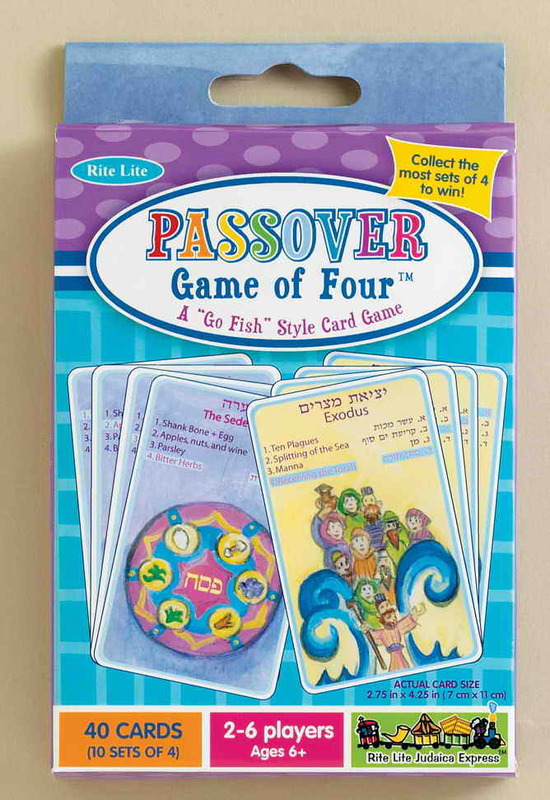 This Game Brings Out One Of The Central Motifs Of The Seder, The Recurring Theme Of The Number Four. The Game Is Similar To The Popular Game, Go Fish, And Includes 10 Sets Of 4 Cards, For A Total Of 40 Cards. Each Set Of Cards Features A Different Category Of Items Related To The Seder, Such As The Four Sons, The Four Cups Of Wine And The Ma Nishtana (The Four Questions). Striking Hand-Drawn Illustrations In Pastel Colors, By Ann Koffsky Lend Charm And Animation To This Game.